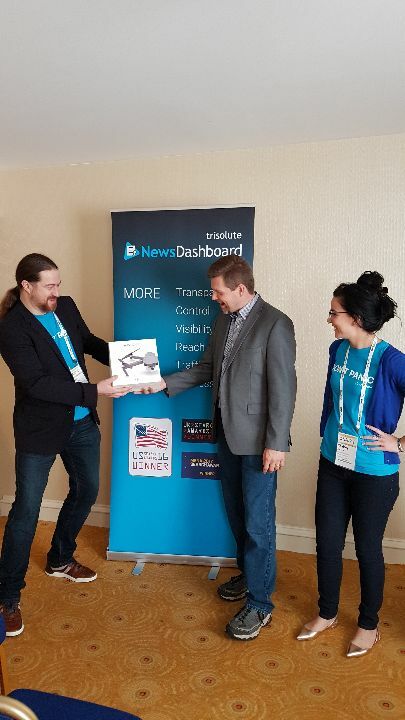 Trisolute News Dashboard founder Tobias Fellner-Jost presents Bill Cannon, digital content strategist at the USA TODAY Network, with the DJI Mavic Pro drone he won. We’re now (sort-of) recovered from the whirlwind that was the Online News Association 2017 conference in Washington, D.C.
First, we wanted to say thank you to all of the incredibly hardworking ONA staff and volunteers who made the event possible. We at the Trisolute News Dashboard had a booth in the vendor hall (alongside CNN, the Knight Foundation and others) where we enjoyed making great connections and discussing the state of search and SEO in journalism, as well as how our tool can help newsrooms find and improve their search visibility in Google News. Our Unconference pitch – SEO Meets Journalism: Google News Terms; Fundamentals You Need to Know – was picked by conference attendees from a variety of ideas, and we presented about the ranking types within Google News as well as the top publishers by search visibility within those types. We are grateful to everyone who attended and voted for our session, as well as the moderator and live-bloggers and -tweeters. 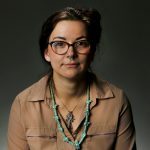 You can watch the session on the News Dashboard Facebook page, and download our full presentation at ONA 2017 Unconference – News Dashboard SEO meets journalism. After the great feedback from the audience, we’re planning to submit an SEO session to next year’s ONA, as well as more pitches for the Unconference. If you have any news SEO questions you’d like answered – or would like to collaborate – please reach out. We also had the privilege of attending the Online Journalism Awards, where we were impressed and inspired by all the great work from around the world that was honored. News SEO strategist Chelsey Heath, customer success manager Tessa Mueller and founder Tobias Fellner-Jost man the Trisolute News Dashboard booth during the Online News Association 2017 conference. Finally, in what was probably the best photo moment, we presented the winner of our drone giveaway with a DJI Mavic Pro drone! Happy flying. 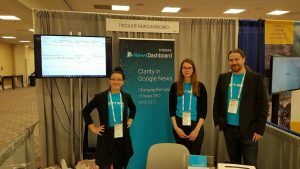 If you stopped by our ONA booth – or just spotted our posts on social media or logo in the event planner – please reach out for a News Dashboard demo. And we’re very much looking forward to next year’s ONA 2018 in Austin. See you all there!